An outlet improvement makes maintenance easier and prevents flooding. The purpose of this project was to reduce flood levels in Beaver Lake and reduce outlet cleaning frequency. The Beaver Lake outlet was inspected in 2005 and was found to be in good condition. However, its trash rack was highly susceptible to plugging, which caused elevated water levels in Beaver Lake. Debris removal was an ongoing maintenance issue for District and Ramsey County staff. 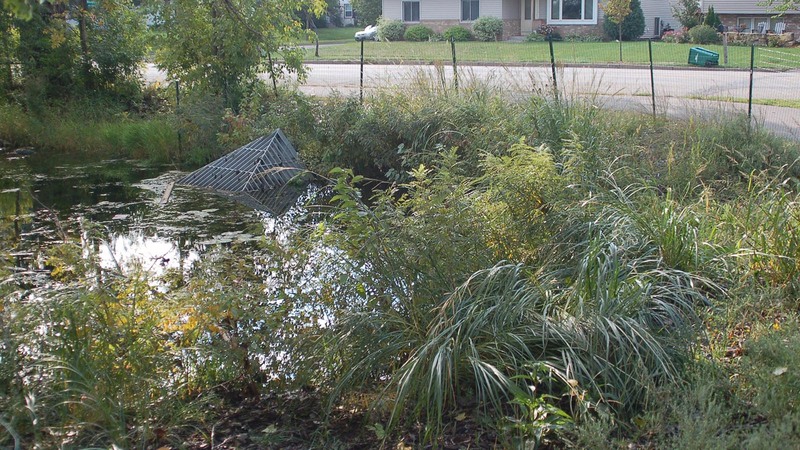 The project involved design, fabrication and installation of a new trash rack that would allow water to flow out of Beaver Lake even if the rack was 80 percent plugged. As a part of the project, the shoreline near the outlet was restored with native vegetation including forbs, grasses and shrubs.